No matter what your career, your financial standing, association involvements and tolerance for privacy it can be detrimental for you to have your identity stolen. When looking at data privacy and data protection there are lists of methods to ensure your safety for both physical data (paper records) and digital data (Online privacy). Examples of these would be data protection training, secure paper shredding, document shredding, hard-drive destruction, hiring EN 15713 certified vendors, purchasing security software and ensuring effective firewalls are in place to name a few. We know today that the majority of data breaches and identity theft occurs online as it is easier and more efficient for criminals to source personal information without being detected and leaving a trace. This is a new and ever evolving effort for security providers and legislators to battle with in an attempt to succeed against the online data theft crimes. However, with that in mind it is time to think about the high levels of data theft crimes that we have experienced for years and continue to experience today through bad guys impersonating their victims in return for financial gain. These crimes have been committed as long as confidential identity documents have existed. Precise and measured management is required on order to truly battle against identity theft from paper documents with the key stone being a paper shredding Limerick system, it is not only limited to The Limerick area, firms from right across the Country need to construct/purchase and implement a confidential paper shredding system to manage waste paper documents. 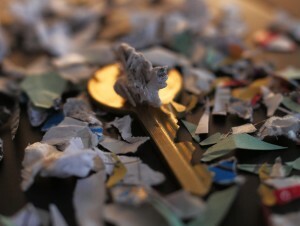 The hard truth is that all of our identities are linked to paper that in turn require a confidential paper shredding service. Simply having copies of the confidential documents can be all that is needed in order to pose as them. Once you can pose as someone you can claim benefits, raise loans and apply for credit cards. One single document could be worth hundreds of thousands of Euro to the right person with criminal intentions. A Limerick paper shredding service through professional vendors that are registered with the required regulatory body is an essential activity for both business and individuals in today’s economy. The slowdown in the economy, seen the introduction of financing options from product providers such as car dealerships. This development has increased the risk of a identify theft occurring as it requires specific training for any employee to be able to identify a fraudulent request for financing. Not all identity theft through paper documents is for money, though. A famous example is actor Wallace Ford, who acquired documents including a passport in the name of his dead friend and lived a fake life for thirty years until his death in 1966. To battle and protect yourselves from data breaches and receiving fines and penalties hire a paper shredding Limerick vendor who has the expertise and certification that will ensure that you are protected from such breaches occurring. 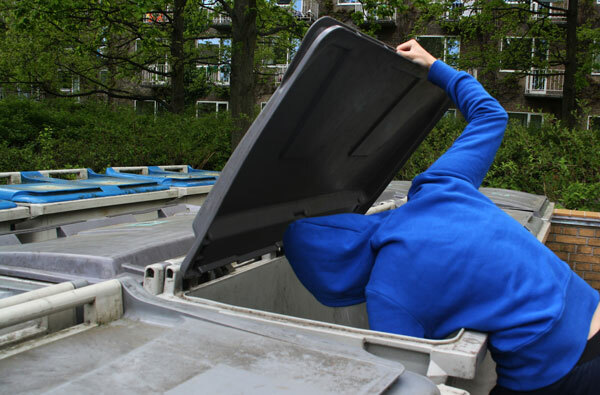 Never enter waste paper into recycling bins and never allow waste vendors to “manage” your waste paper data in order to maintain confidentiality of your data and protect you and your Company’s image. This entry was posted in Confidential Shredding, Corporate Social Responsibility, Data Destruction, Digital Data, Identity Theft, Off Site Shredding, Onsite Shredding, Paper Shredding and tagged document shredding limerick, identity theft limerick, limerick paper shredding, paper shredding limerick by Security in Shredding. Bookmark the permalink.